Recently I received a stunning makeup bag and phone cover from the fabulously talented Fi Bourke Fashion and I absolutely love them. I have loved the skull trend since Aleander McQueen revolutionised it many years ago with his famous skull scarves and I have been addicted ever since. 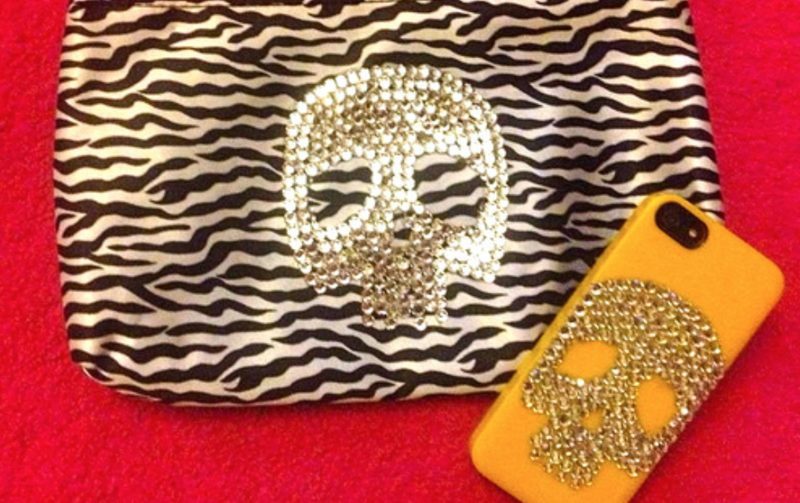 Fi’s range of beautiful diamante embossed skulls really caught my attention and I was thrilled when she sent me the phone cover as a gift for winning the blogging competition! 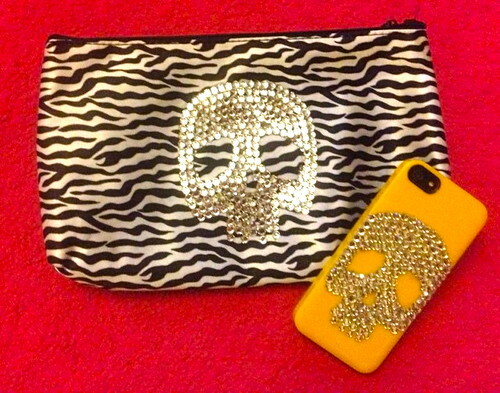 Of course I had to pick up a make up bag from the same range, especially as it is in zebra print! If you havent already seen Fi Bourke’s range of totally handmade products (Where have you been?) you must check out her facebook page (www.facebook.com/fi.bourkefashion) I am very sure you will find something to suit your taste and if you don’t then you can rest assured that Fi will create something totally unique just for you!